The reemergence of perennials heralds the arrival of spring, but not all resurgent greens are equally welcome. 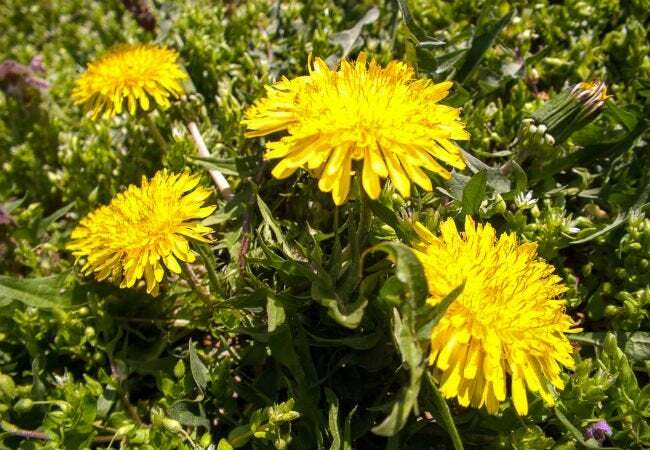 When weeds start to rear their unwanted heads, try this white-hot trick for getting rid of them for good. How you choose to eradicate weeds depends on your patience, physical abilities, and environmental ethics. You could get down on all fours and suffer the backbreaking work of pulling them by hand. Or, you could run the risk of harming desirable plants along with the weeds by applying herbicides. Instead, why not go for an approach that doesn’t damage your soil or your muscles: Just as farmers burn their fields to make way for crops, you can put the natural force of fire to work in your yard to get rid of weeds. A simple propane vapor torch kit—the kind made for garden use, not for soldering—and a gas cylinder are all you’ll need to scorch your weed-covered earth. Before you get started, however, you may want to seek permission from your local fire department to save you a fine if burning restrictions are in effect. 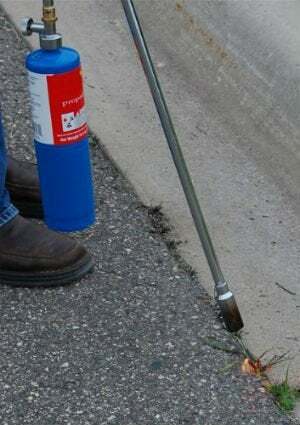 A few other caveats: Have a fire extinguisher or garden hose nearby to quench flames that grow more than a few inches tall, don’t burn when it’s windy, and always avoid piles of dry, brown material. Launch your attack as soon as weeds emerge, before they go to seed. First, read the manufacturer’s instructions for connecting the torch to its fuel source, and for lighting and operating it. Start with a low-intensity flame, adjusting output as needed. Slowly wave the tip of the wand a few inches above the plants you want to kill. A second or two is all you need—you’re scorching the weeds with 2,000 degrees of heat, effectively destroying their protective outer skin and boiling the water in their cells, so a little bit goes a long way. Your red-hot revenge is complete when you notice an unwelcome weed turn from glossy green to a darker, matte shade. Even if a weed doesn’t wilt right away, rest assured that the damage has been done. Once singed, it can’t retain moisture or photosynthesize. Its roots might contain enough stored energy to produce another stem, but if that happens, apply a second or third treatment, and you’ll eventually starve the plant. To avoid displacing the soil and spreading more seeds, leave the dying weeds to decompose on their own and turn your attention to tending more beneficial blooms.